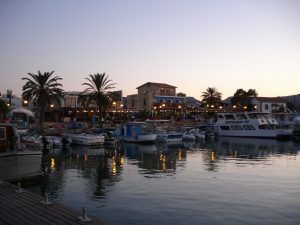 Latchi is a sleepy port of Cyprus, where the fishermen still bring in the fresh catch of the morning and supply those who are lucky enough to have got up early that day. In the past few years due to it’s ever growing facilities and amenities, Latchi Harbour and Marina has become a favorite stopping point after the Greek Isles and Turkey. Tavernas litter the quayside offering the local speciality Fish Meze and still at a very good price, unlike the other harbours around the island.